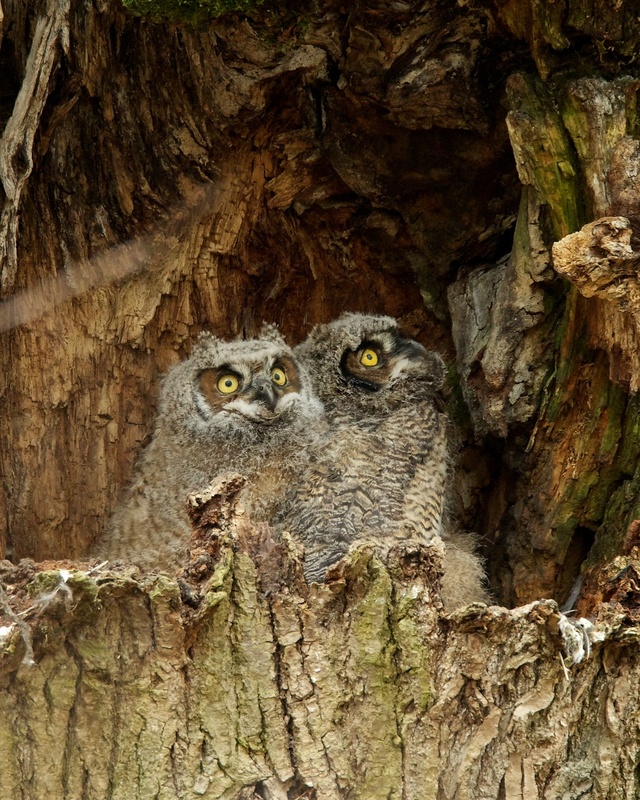 Two young Great Horned Owls in their nest tree in Nisqually National Wildlife Refuge in Washington State. Like other raptor species, Great Horned Owls nest early in the season (as early as January, or even December) because it takes a long time for young to become independent. Listen to BirdNote shows about Great Horned Owls! Florida Scrub-Jay - Check out the bands!